The appliances take a lot of space at your home, and they thus should be able to provide you with the features in return for the money and space. We saw how washing machines now let its users know when the cycle gets finished. It was, but, in the cooking section that nothing of that sort was seen. Well, the fact is history now, as, so many smart ovens have now shown up in the market. Smart ovens make the cooking, fun in a way. Let’s see how they do it. It is an electric appliance capable of getting connected to other smart devices using the wireless fidelity or Bluetooth technology. It connects to the devices through an application, which can be used to command it from anywhere, when connected. Well, you don’t have to walk up to the oven table to set the timer and temperatures anymore. Some of them even have a feature of voice control as well. A smart oven looks more or less like convection or a roaster oven, but the features make a real difference here. You can cook more evenly using a smart oven. Cooking is faster in a smart oven as well. The fundamental principle remains the same, but the fact that it is equipped with an element IQ makes it easier for you to cook whatever you want. It controls the power of heating elements to maintain the temperatures on its own, which gives you an evenly cooked food item in the end. To make the cooking more efficient, the sophisticated heating system distributes the heat uniformly throughout the oven. But it can adjust to the requirements of the food as well. 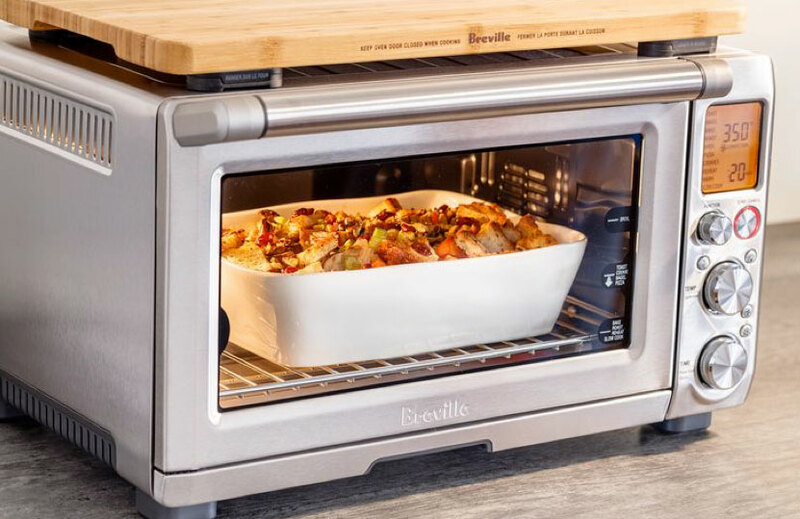 The difference here is the material of the heating element, which, in convection ovens is a metal, while in a smart oven is Quartz, which adjusts to the heat change more quickly, thus making the cooking more even and better. A couple of models of the smart oven have two cooking chambers which can be used at the same time, at different temperatures. Well, that’s how you cook two dishes at precisely the same moment. 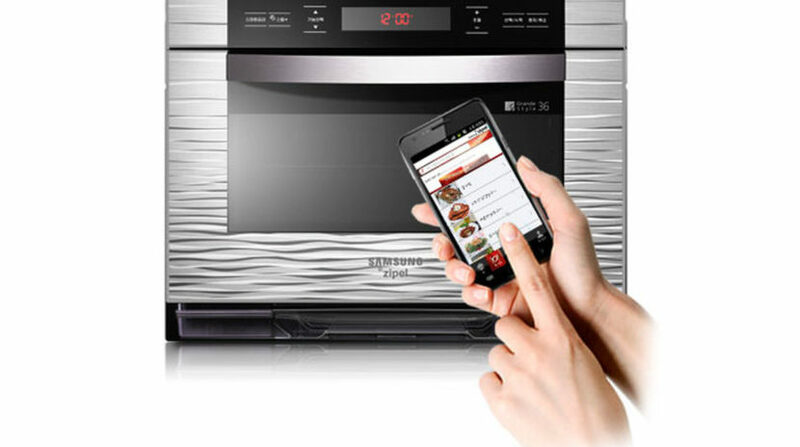 You can control the temperature from your smartphone which is helpful in preventing overcooking. This can be done without getting up from your position and walking all the way to the oven. Just a few taps on the phone screen and it is done. It can be turned ON and OFF from anywhere. It also sends you the alert when the oven has got properly preheated, or the timer has expired, or even when there’s some fault in the appliance. Well, this is true that there are a lot of brands with many models of the smart ovens on the market. Features of these products vary with brand and price range, but you don’t have to spend on the most expensive one thinking that it would be the best. Instead, select the one which best suits your needs, even if it cheap. The first thing you must do is to read about them in the Tovala review from the people who have actually used them. This helps a lot while deciding whether what to purchase and what to skip from the options available out there. Then you need to decide on the features that you need and the money that you can spend on it. This is how you will get home the best smart oven. Smart oven saves your time and effort. If you keep busy and get much lesser time to cook, you must get yourself a smart oven to enjoy the best and evenly cooked food, without having to worry about the cleaning process as well. The non-stick interior of a smart oven makes it easier for you to clean it in a few seconds.